Ace Hotel got its start in 1999 when Alex Calderwood and HIS FRIENDs renovated an old halfway house in Seattle, transforming it into a small hotel. By absorbing the cultural heritage of surrounding communities and collaborating with various artists and brands, Ace Hotel creates its own collection of hotels, each possessing their own look and feel. 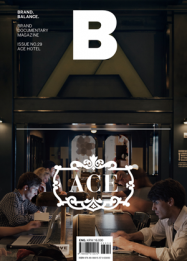 Ace HOTEL has not only helped to revive neighborhoods, but it has also breathed new life into the entire hotel industry.